As some of you read awhile back I added a Featured Friends page next to Home, Awards & Who is Responsible for This? (my about me page) you can also jump directly there by clicking this link Fabulous Featured Friends . I have recently revised the list and encourage you to check it out! I know you will find someone whose work you will love. Thank you my friend. Most sincerely. 🙂 My honor and priveledge, always. 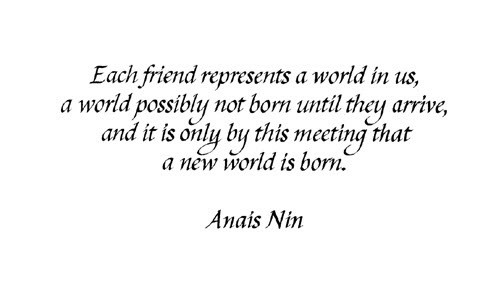 anais nin, didn’t hear her voice for a long time! love her.